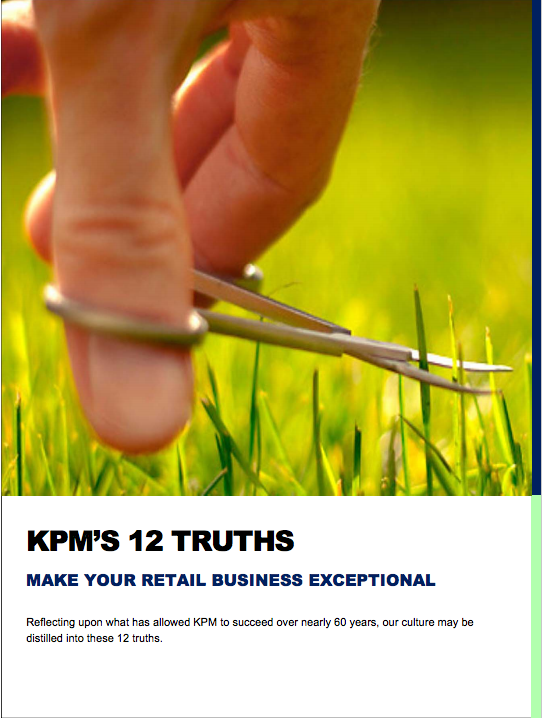 KPM started as a retail business in 1957. KPM has grown and evolved into the successful regional distribution company it is today. Throughout that time, we have adhered to 12 truths that we believe should apply to any well-run business in our industry. Many of us in the office have printed this list and referred to it for motivation during those tough days we all experience.